Georgian alcoves, wood-paneled walls and large sash windows meet bold modern art and understated elegant interiors. Neighbouring some of the oldest Oxford colleges and within walking distance of shops, theatre and the city’s Botanical Gardens. 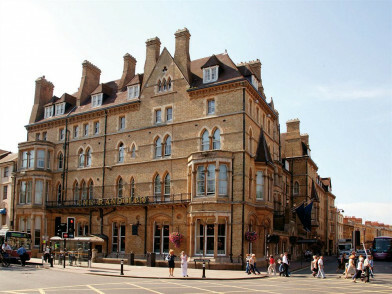 The hotel restaurant Quod is popular with the young Oxford set, enjoy pizzas, confit duck and cocktails. Do the classical thing and punt and picnic on the Cherwell. Riverside and meadow walks from the hotel or walking tours with a guide. Grab one of the hotel's bikes and explore Oxford like a true local. Plenty of sights to see nearby, the hotel is opposite St Mary’s Church, and neighbouring University and Merton. Frequent the nearby Natural History, Pitt Rivers and Ashmolean museums. The independently owned Old Bank, centrally located on Oxford’s famous High, is a breath-taking statement in design. 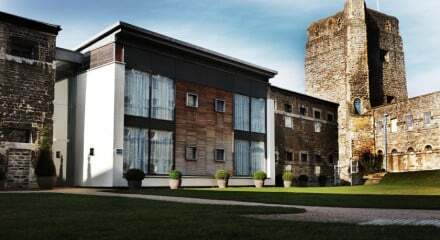 The 5 star hotel has 42 luxury bedrooms, many with unrivalled views of the city’s most famous landmarks. Numerous colleges are close by as well as the Radcliffe Camera and Bodleian Library. The Covered Market and Botanic Gardens are a short walk along the High Street, plus there are beautiful walks through Christ Church meadow. All breakfast items are ordered with our attentive restaurant waiting team and delivered fresh to your table from the kitchen. Alternatively we have a room service menu should you wish to take breakfast in your hotel room. Yes. Quod’s All Day Menu is served from 11.30am until 11pm, the Set Lunch Menu can be ordered between 12noon and 6pm Monday to Friday, and Afternoon Tea is available 3 until 5.30pm daily. Alternatively our sister properties, the Parsonage Grill and Gee’s Restaurant & Bar, are a short trip across the City Centre. The luxurious superior deluxe rooms overlooking the iconic Radcliffe Camera & University spires. 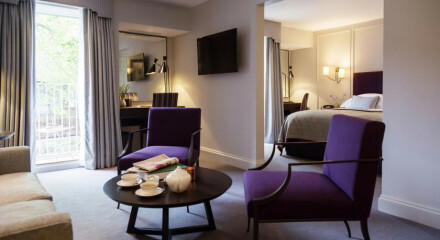 "A smart, 42-room hotel in historic, old buildings with a buzzing, brasserie-style restaurant and a city-centre location that’s hard to beat, next to some of Oxford's oldest colleges."